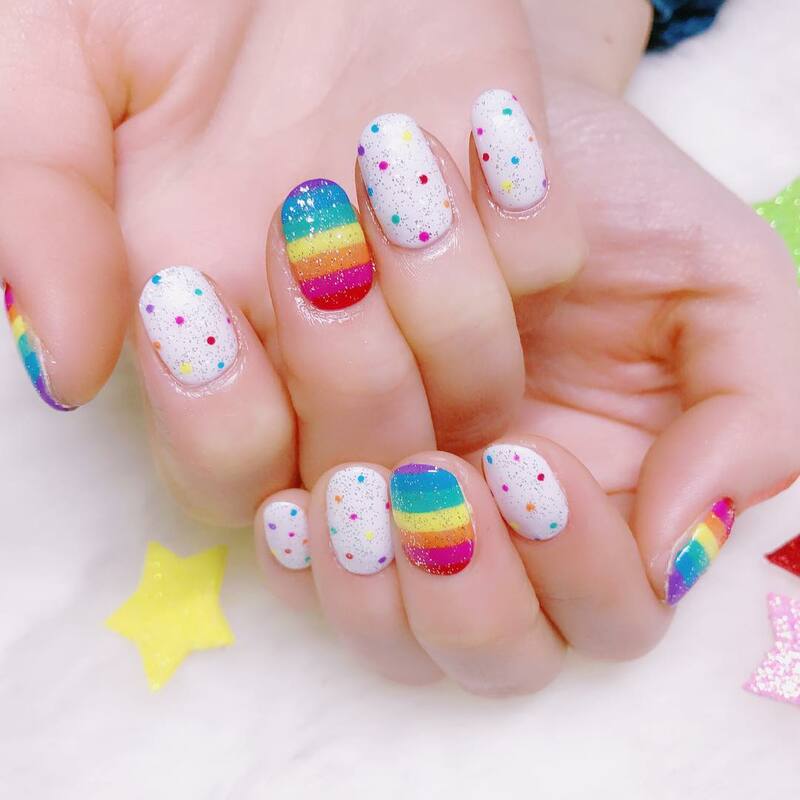 Pride month is here, and what better way to show your support for the LGBTQ community than by rocking a statement manicure? 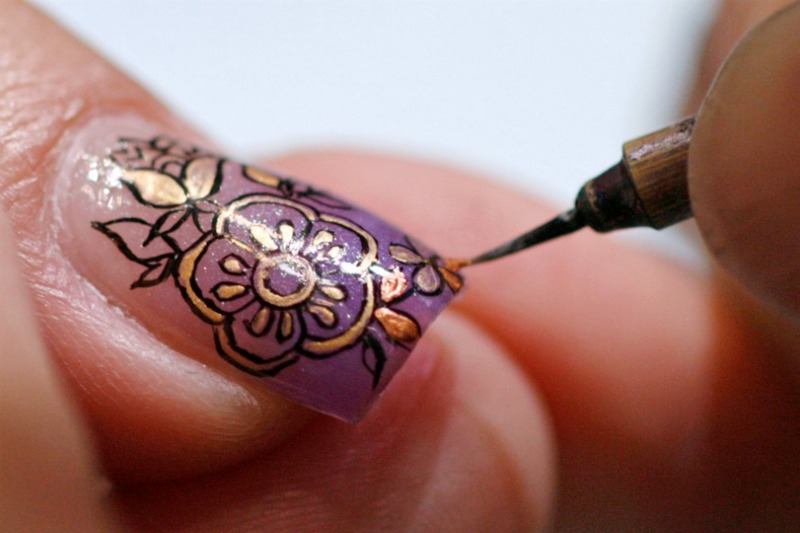 Here are three nail art styles to get you started. Keep it obvious with a set of colorful rainbow-striped nails, as demonstrated here by beauty vlogger @kellimarissa. Some thin strips of nail tape are all that is required to master the impressive red, orange, yellow, green and blue look referencing the LGBTQ flag. 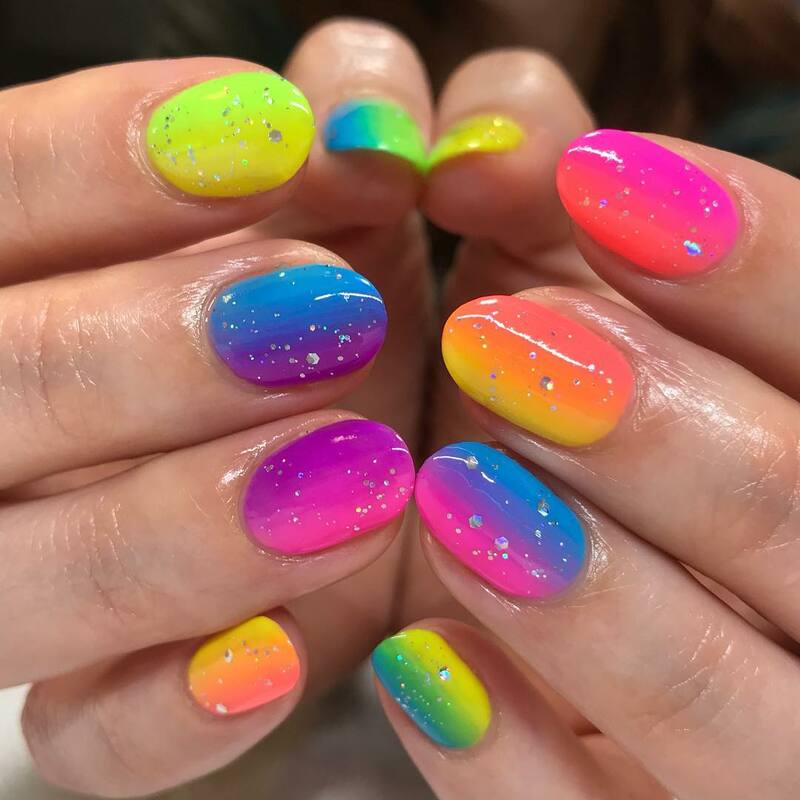 For a more abstract approach, take inspiration from LA-based nail duo @heynicenails, who have come up with this mesmerizing neon look that blends multiple rainbow hues in neon tones. A sprinkle of gemstones adds some extra magic. For a cute twist on rainbow nails, look no further than Japanese nail artist @chiekonakayama's playful manicure, featuring a few striped accent nails interspersed with playful polka dot designs. A dusting of silver glitter keeps things fun.